Summer nights and music just seem to go together on the Kitsap Peninsula, where we have some of the best outdoor summer concert venues around. The shows are all free and perfect for a date night or family outing. You’ll love the spectacular settings, including waterfront parks in Port Orchard, Poulsbo and Kingston, the Bremerton Boardwalk and the lawn at Clearwater Casino & Resort overlooking Agate Passage. From reggae to Americana, rock & roll to a family of fiddlers, there’s something for every musical taste. 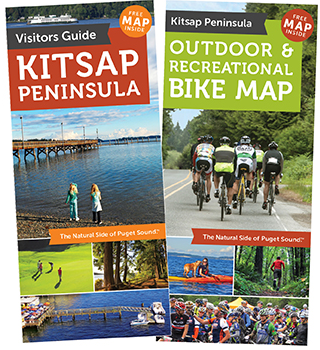 Check out our town-by-town guide below, mark your calendars and go to VisitKitsap.com to plan a music-filled summer getaway. 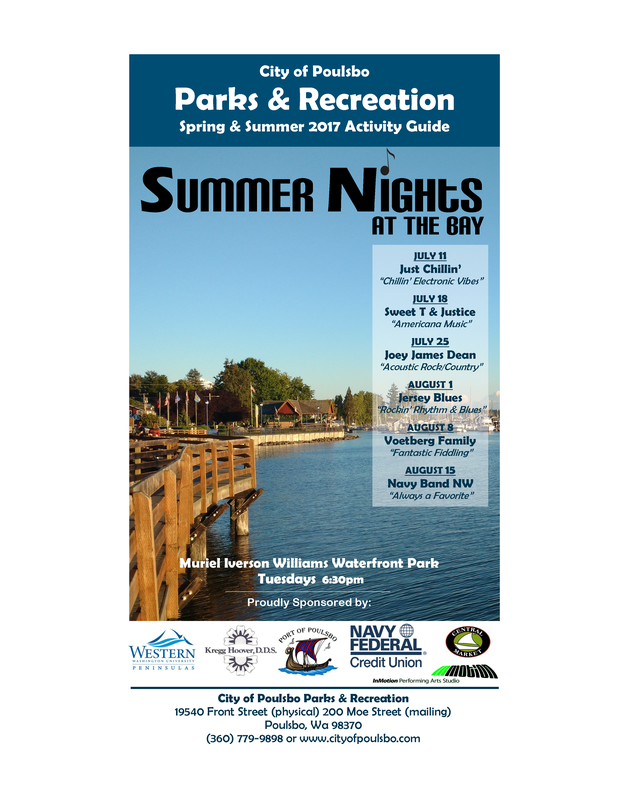 Concerts by the Bay – Port Orchard – 6:30-8 p.m. Thursdays (except July 6) through August at the Port Orchard Marina Park pictured above, 1001 Bay St.
There’s something for everyone in this line-up, including Sinatra and Elvis impersonators, Irish folk/pop and hometown favorite Dusty Cadillac, known for a power-packed and danceable blend of blues and rock. Families will love the park’s waterfront playground. There’s also a day full of tunes slated for July 4, starting at 11 a.m. Schedule. Enjoy food vendors and a beer garden at these family-friendly concerts next to the Kingston ferry. Dance the night away to rock & roll, reggae, county, R&B, Latin rhythms and the Kitsap Peninsula’s favorite honky tonk band, Betsy and the Boys. Info. This is one of the most charming concert venues on the peninsula, a little pocket park at the east end of the Manette Bridge that looks out toward Sinclair Inlet and the Bremerton ferry. The musical line-up includes Navy Band Northwest, the kid-friendly Caspar Babypants and The Whiskey Jackets, a Seattle band with a New Orleans sound. Find out more. These shows are always a good time and this year’s line-up features a hot mix of cool tunes from tribute bands for Tom Petty, 80s hair bands, Journey, AC/DC, the Beach Boys and John Cougar Mellencamp, plus a Latin jazz combo, Elvis impersonator and country’s fiery Jones & Fischer. Click for more. Rock the Dock – Bremerton – 5-8 p.m. July 4 and Saturdays though Aug. 19 (except July 15) on the Bremerton Boardwalk, 243 Second St.
There’s a new upgraded sound system and covered stage for these concerts plus a beer garden by Silver City Brewery. Arrive by car, ferry or boat for a rockin’ good time. Highlights of the schedule include Beatles tribute band Creme Tangerine, soulful and bluesy Ethan Tucker, crowd-pleasers The Dusty 45s and the rock-country mix of Massy Ferguson. Details. Chill in “Little Norway” and enjoy amazing water and mountain views during these laid-back concerts. The line-up includes Navy Band Northwest, the Voetberg Family fiddlers, Americana music from Sweet T & Justice and acoustic rock and country with Joey James Dean. Find out more. Summer Sounds at Skansie – Gig Harbor – 6:30 p.m. Tuesdays through Aug. 15, including July 4, at Skansie Brothers Park, 3211 Harborview Dr.
Bobby Soxers will love the line-up for this concert series at the newly renovated Skansie Brothers Park. Wally and the Beaves and Bobby Sox and the Jukebox perform hits from the 50s and 60s on two different nights, the Beatniks take on the 70s, Jessica Lynne delivers original country and Ranger & the Re-Arrangers evoke the spirit of a Paris café with gypsy jazz. Concertgoers are encouraged to ride the Gig Harbor Trolley. Some downtown restaurants provide food delivery to the park. Schedule. The schedule includes funk, country, folk and Seattle’s Portage Bay Big Band performing swing hits from the 30s and 40s. 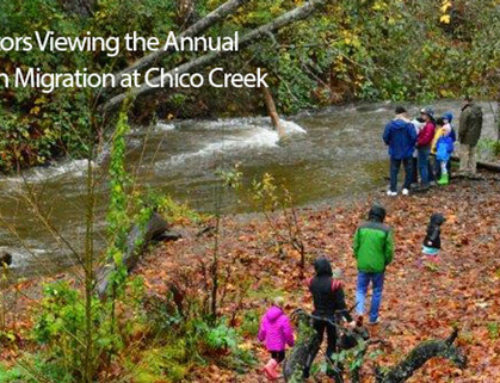 There are kids’ activities and concessions, plus the park has a magnificent playground, wide walking paths and a duck pond. Click for details.